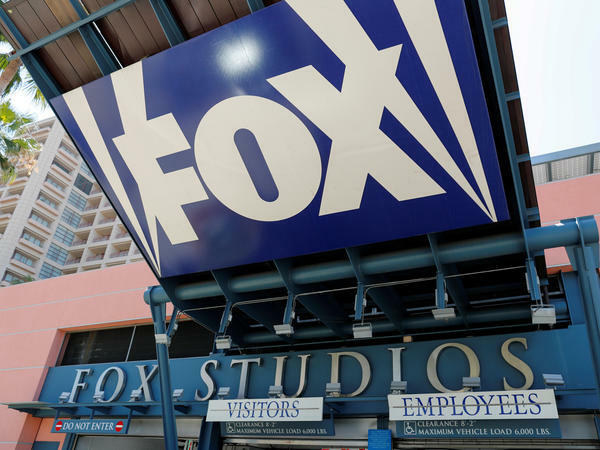 Comcast made a $65 billion offer for much of the Hollywood holdings of 21st Century Fox. The bid tops the $52.4 billion offer made by Disney last year. The bid by Comcast, the parent company of NBCUniversal, tops the $52.4 billion offer made by Disney for 21st Century Fox in December. And it comes just a day after a federal judge approved AT&T's $85 billion acquisition of Time Warner. Comcast Chairman and CEO Brian Roberts cited the AT&T/Time Warner court decision in his offer letter to 21st Century Fox Executive Chairman Rupert Murdoch and his sons, co-Executive Chairman Lachlan Murdoch and CEO James Murdoch. "In light of yesterday's decision in the AT&T/Time Warner case, the limited time prior to your shareholders' meeting, and our strong continued interest, we are pleased to present a new, all-cash proposal that fully addresses the Board's stated concerns with our prior proposal," Roberts wrote. The Fox stable includes The Simpsons and the X-Men movie franchise. Time Warner owns CNN, HBO, Warner Bros. Entertainment and cable channels including TNT, TBS and the Cartoon Network.